Cloud Commerce changes Commerce to equally benefit the buyer and the seller. 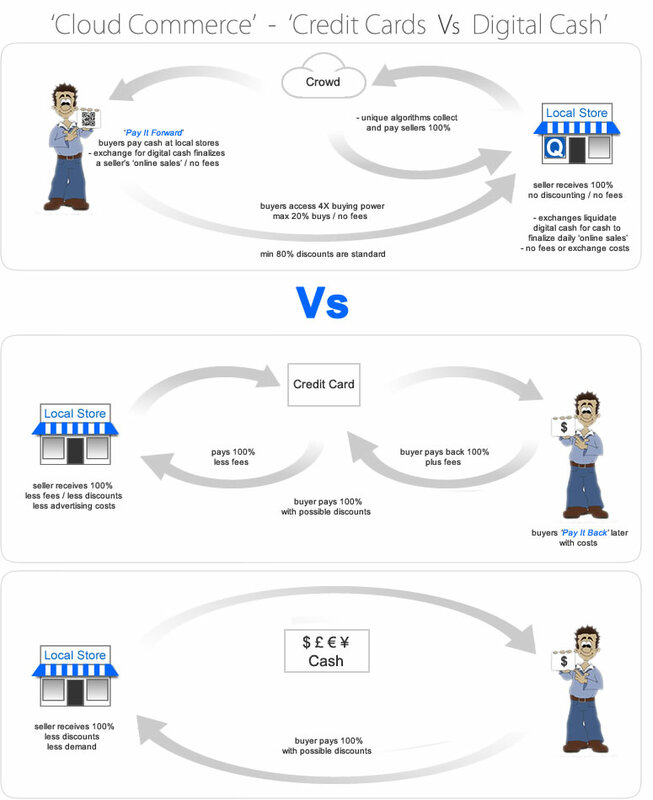 Cloud Commerce disrupts Commerce with Pay It Forward! - it's connected by a Peer 2 Peer digital currency that autonomously flows securely and freely to and from any local 'brick and mortar' store world wide! - 'Pay It Forward' uses a true digital cash in an Open Market Economy that can maintain 100% of value within a local economy by being free of fees!